The Vista Sol Punta Cana Beach Resort & Spa is located next to Playa Bávaro, in Punta Cana, a beach that UNESCO declared as one of the most beautiful in the world. 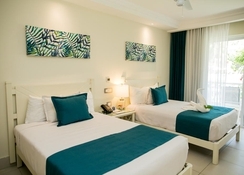 The hotel offers modern rooms that are decorated in tropical colours, and also provide air conditioning, mini bar, safe, coffee maker, TV, bathroom, hairdryer, amenities and towels. In addition, guests to this hotel can enjoy a wide range of leisure activities including snorkelling, kayaking, tennis, etc. The hotel also features a state of the art gym and three swimming pools. On the other hand, the gastronomic offer is also covered thanks to five restaurants that serve cuisines from different parts of the world, including Italy and Mexico. For its part, Downtown Punta Cana is located 8.6km, while the Punta Cana International Airport is 19km. 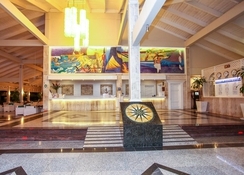 The 24-hour reception offers tourist information and doubles up as a foreign currency exchange counter. 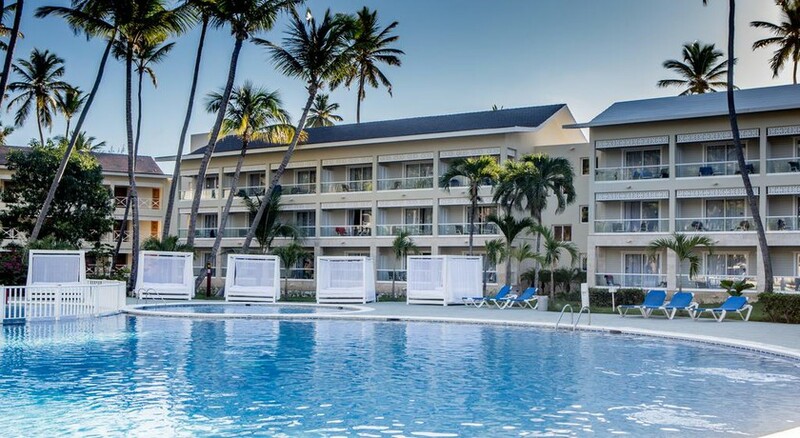 The Vista Sol Punta Cana Beach Resort & Spa is located in Bávaro, next to the beach of Cortecito, 20km from Punta Cana and less than 25 minutes from the airport. The Manati Park is about 10km from the hotel. UNESCO declared Playa Bávaro one of the most beautiful beaches in the world and, in addition, in the vicinity of the hotel there is a wide range of leisure activities, including dolphin shows, exclusive bars and exquisite restaurants. 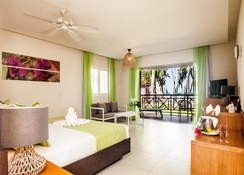 The rooms at Vista Sol Punta Cana Beach Resort & Spa offer a cheerful and modern design in tropical tones. They include air conditioning, mini bar, coffee maker, safe, television and private bathroom with towels, hair dryer and toiletries. They are exterior rooms and some of them also provide views of the sea or the gardens. Families are accepted and there are rooms designed for two adults and two children, as well as triple rooms and double suites. Vista Sol Punta Cana Beach Resort & Spa features four restaurants that serve, among others, Italian, Mexican, gourmet and fast food dishes. Mamma Mia serves Italian cuisine and more while El Mariachi, a beachfront restaurant with a calm ambience serves Mexican food. There is also a buffet restaurant and seven bars at the resort. This 4-star hotel has three outdoor swimming pools surrounded by tropical gardens, and those wishing to keep active will enjoy a gym, tennis court, table tennis and an activity program with snorkelling and kayaking. On the contrary, those who wish to relax will have at their disposal a spa with massages and Jacuzzi. The establishment has its own parking and cars are rented, as well as providing 24-hour reception with luggage storage, tourist information and currency exchange.